I noticed when reading your book we do not completely agree on the importance of one’s personal credit history. I emailed Ross back and said “great, come on the podcast and let’s discuss it!”, and that’s exactly what we do on today’s show. My view is that credit scores are for the benefit of the bank, not you. Credit scores are a tool to help a lender decide how much money to lend you. A person who has never borrowed money but has $1 million in the bank may not even have a credit score. A person who has five credit cards and owes money on each of them may have a high credit score, because they are servicing their debt. So to get a high credit score, you need to borrow money. In many cases that’s a bad idea, and that’s why I don’t believe in making a high credit score your top financial priority. While Ross Taylor doesn’t necessarily disagree with any of those comments, he comments that your credit score can affect more than just a desire to get a mortgage. If you want to rent an apartment, your landlord will likely do a credit check. When you apply for a cell phone contract, they check your credit. If you apply for student assistance like OSAP, part of the process involves a credit check. And of course, apply for a loan or mortgage and your lender will run your credit report. Ross believes you should pay attention to your credit history, your score, the content and what comprises it. I agree, you need to ensure the information on your credit report is accurate. That’s why we recommend you check your credit report once a year. If you want to borrow money they yes, you need to have a good credit score to get the best rate. And if your score is on the low side, take steps to rebuild your credit, which takes time. However, there is still no need to chase a perfect score. Even Ross says a score around 750 is pretty good. 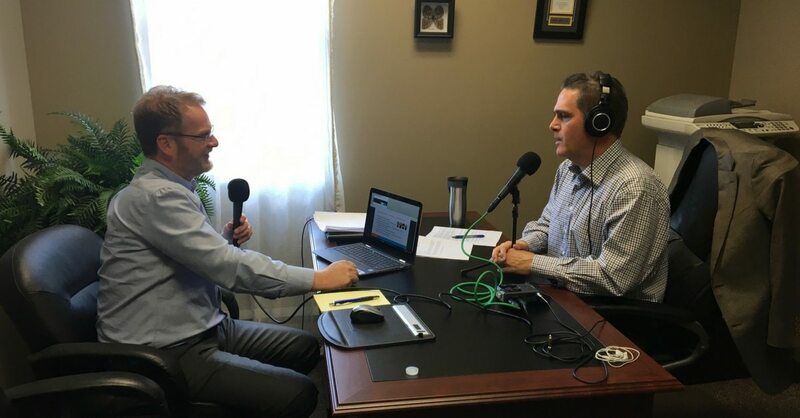 To hear more about our debate, and a case study of how Ross helped a consumer proposal client get a better mortgage rate, listen to the podcast. Doug Hoyes: Yes, this is Debt Free in 30 and I am Doug Hoyes. And on today’s show I have a first time guest who disagrees with some of the advice I gave in my new book. I’m a big boy, I can take some criticism so I’ve invited him on the show today so he can give his opinion, I’ll give mine and we’ll have a big fight with lots of yelling and screaming and then you, the listener, can decide who is right. So, before the yelling and screaming starts, here’s the background. As everyone who listens to this podcast knows I wrote a book, Straight Talk on Your Money and in that book I describe 22 financial myths. Myth number four is all about credit scores and one of the subtitles in that chapter, over on page 48, is the credit score scam. So, it would appear that I am not a big fan of credit scores. In fact, in the practical advice section of that chapter, on page 52, I say that you should not focus on your credit score. So, it would appear that I don’t think your credit score is important. That’s the starting point for today’s argument. My guest sent me an email and here’s what he said and I quote, “I noticed when reading your book we do not completely agree on the importance of one’s personal credit history”, endquote. So, what’s the disagreement? Let’s find out. It’s time to welcome my guest so who are you and what do you do? 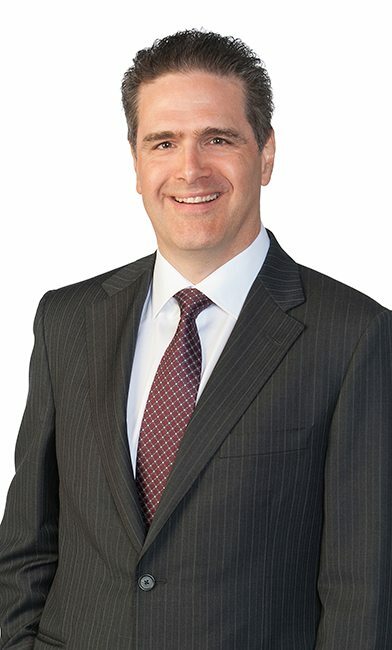 Ross Taylor: Hey, Doug it’s Ross Taylor and I’m a mortgage agent with Concierge Mortgage Group and I specialize in bad credit mortgages, difficult mortgages in general where there’s something about the file that would mean the applicant could not get approved at a bank. Doug Hoyes: Excellent. Well, I appreciate you being here today Ross. In fact we’re in your office near Dufferin and Steeles near North York and so we’re going to find out why you specifically object to what I said in my book. So, I’m going to turn it over to you, give you the microphone. Tell me, in simple terms, why you think I’m off base in saying that a credit score is a scam? Ross Taylor: It actually caught me by surprise to hear you say that Doug because I’ve lived my life and brought up my children to believe the exact opposite. One of my daughters used to tell me that she had nightmares and she’s wake up thinking that she had missed a payment on a credit card and the wrath of Ross was going to come down upon her. Life is just more difficult when you have a bad credit history. It’s not just about mortgages. If you go to rent an apartment for example most landlords are going to want to look at your credit history. If you haven’t paid attention to that you could have difficulty getting that apartment. You may be asked in fact for six months or even 12 months prepayment of the payments. Even insurance on your home and your car, your credit report can affect it. When you take out a cell phone they check your credit and they may not give you that two year plan with all the bells and whistles if your credit history is subpar. And yes of course with mortgages the bigger the better and the cleaner the credit history the more likely you are to be approved and at decent rates and terms. Another aspect that can be affected is student assistance, OSAP, student lines of credit, such an important part of the fabric of today’s society with everybody needing help to get through their higher education. If you have messed up credit you may not be able to qualify for that assistance. So these are some of the reasons why I think it’s important. Doug Hoyes: So, okay and I get what you’re saying, it’s not just that your not going to be able to qualify for a mortgage, it affects many other areas of your life, you listed them off, renting an apartment, getting insurance, you know, cell phone as well as the obvious things like mortgages and other loans. So, let me give you my take on this. And I’m not going to read long passages from the book ’cause hey, the book’s available as an audio book on audio and iTunes and I don’t want to, you know, violate the copyright by reading the whole thing. But let me summarize my basic point which is that a credit score is for the benefit of the bank, not for you, the borrower. It’s a way for them to determine risk when they’re lending. It’s a way for them to determine how much money to lend you. So, in order to get a high credit score you actually have to have debt. Doug Hoyes: So if you’ve never had debt then you’re not going to have a high credit score, you probably don’t have any kind of credit score. So, if you want to play the game and get a high credit score then you have to have some debt. So, you know, somebody with two credit cards but a low utilization is going to have potentially a better credit score, all else equal, than somebody else with one credit card and a low utilization. Now whether someone with 15 credit cards is going to have a better credit score of course is open to debate but my worry is that you start focusing on the wrong things. So, my advice is instead of trying to get as high a credit score as possible which may mean taking on more debt than you should, I think you should instead focus on what’s right for you, which might include things like, you know, saving money so you’ve got a bigger down payment when you go to buy that house. And obviously savings is something that doesn’t appear on your credit report, it’s only debt that appears on your credit report. And in fact it really shouldn’t even be called a credit report, it should be called a debt report ’cause that’s really what it’s all about. Ross Taylor: Well, Doug sorry to interject here but first of all I don’t think that the two things are mutually exclusive. You can certainly have a savings plan and also pay attention to your credit history. It’s not a one or the other. And it’s not so much a debt report because you can be very responsible and have available credit. Like you say two credit cards is pretty much all you need. You don’t have to be using it or you don’t have to have a high utilization rate. As a matter of fact you should be paying it in full each month. You’re right that it’s easier for people, especially with good credit scores, to tap into even more credit and sometimes things get out control and they end up knocking on your door looking to file a consumer proposal, I see that too. But managing your credit score is just a responsible thing that every Canadian should be doing. It doesn’t have to be obsessive and in fact once you get to a certain point it’s a vanity project if you’re continuing to get the scores higher. I mean the scores range from 300 to 900. And most of us fall between 600 and 750. Anything beyond 750 is gravy, it’s icing on the cake, it’s not necessary to get the best loans or the best mortgages. 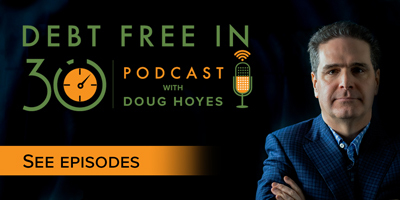 Doug Hoyes: So, whether I have 800 or 850 as my credit score I’m probably paying the same on a mortgage all else being equal? Ross Taylor: You certainly are, there’s no difference. Doug Hoyes: It’s not going to make any difference. Doug Hoyes: So the upper target, like 750 and I’m pretty good. Ross Taylor: 750 but then again even with a high score there might be errors on your credit report, there might be things that are just wrong. There could be an old collection item that was never resolved or paid. And something like that could hamper your ability to get a mortgage. Doug Hoyes: So you’re not saying focus on your credit score, you’re saying focus on your credit history. Ross Taylor: Your score, your history, the content and what comprises it. Doug Hoyes: So there’s a bunch of different things here. And yeah in my book, I mean as I quoted I have a subtitle called The Credit Score is a Scam and obviously that’s deliberately provocative ’cause that’s what you have to do when you write a book. Ross Taylor: Well it provoked me Doug. Doug Hoyes: There you go, absolutely and one of the reasons, you know, credit scores are not consistent. I can go to Equifax, go to TransUnion and it might be two different numbers. Ross Taylor: It will be. Doug Hoyes: It will be, yeah. The bank may be using their own internal calculation that is a combination of some other factors, whatever. So the credit score itself is – I mean it’s a target that’s hard to shoot for ’cause you don’t know what the target is. But I guess your emphasis more on the overall picture, the holistic approach, the credit history as well, is pretty important. Ross Taylor: The health of your credit history. Doug Hoyes: The health of your credit history. So, well okay so let’s illustrate this post then because you wrote a blog post back in October and I will link to this blog post in the show notes over at hoyes.com but it’s on your website which is askross.ca. And we’ll mention that again at the end of the show and put links to it as well. The title of this blog post was “Huge credit score increase results in mortgage miracle”. So you should write a book Ross ’cause you’re just as good as me at making wild and crazy titles here. But the – so in this blog post you tell the story of a client, you called him Justin, obviously that’s not his real name. So Justin was actually in a consumer proposal. Ross Taylor: Yeah this time last year he came to me and he was in a consumer proposal. He had a mortgage with a major charter bank. And when he filed the proposal, that bank was affected. He had a credit card and a line of credit that were included in the proposal. Doug Hoyes: So the bank was the mortgage holder on his house and there was also unsecured debt. Ross Taylor: That’s right Doug. Doug Hoyes: A credit card and a loan or whatever. Okay and so, the mortgage existed before he had the proposal. Doug Hoyes: And was still, obviously still in place while he was in the proposal. And I assume, I don’t know this guy but I assume that the equity in his house was less than what he owned in total or else he wouldn’t have filed a consumer proposal I guess. He would have got a second mortgage and paid everything off to begin with. Ross Taylor: That’s right. I mean the market’s been wonderful in the GTA in the last few years. Doug Hoyes: So the value of the house continued to increase so he came to see you well into his consumer proposal, it had been up and running for I don’t know. Ross Taylor: At least two years. Doug Hoyes: At least two years, okay. And so, tell me what happened next then. Ross Taylor: Well he expressed concern to me that his bank had already warned him that when his mortgage comes up for renewal that they would not be offering him renewal. Doug Hoyes: Now just before we go on then let me jump on that point. Is that a common thing you see? Ross Taylor: Actually no. If anything I’m always impressed or surprised that banks tend to renew mortgages for debtors that are bankrupt or in proposals without any hassle. It’s just an automatic process. As long as the mortgage repayment history has been excellent they don’t go troubling you. Doug Hoyes: And why do you think that is, because it’s an automated process? Ross Taylor: It’s an automated process, they do not do a new credit check if they’re renewing. If you poke the bear, if you decide, you know, you’re in a proposal or a bankruptcy and you want to ask the bank for more money because heck you’ve been a customer for 20 years and they must love you, then you’re in for a shock. Because now they have too much information and they’re looking and they’re assessing the situation and they may think twice not only about – they certainly won’t give you any more money. They may wonder whether or not they want to keep you as a mortgage client. Doug Hoyes: So I guess there’s even a question as to whether the bank would have renewed the mortgage in a couple of years when it came up or was this just some, you know, low level bank employee saying well, you know, we’re probably not going to renew it? Ross Taylor: It was enough to spook the guy. Doug Hoyes: It was enough to spook him. Ross Taylor: But you’re right, it may not have been valid. Doug Hoyes: It might not have been real. So, in your experience though if you are a consumer proposal or even in a bankruptcy and you own a house and you’re making your mortgage payments, keeping them up to date, it is likely that the renewal will go through no problem in, you know, a year or two or three, whenever it comes up, provided you’ve made all your mortgage payments, you’re not behind on any mortgage payments. That’s traditionally what happens. Doug Hoyes: Okay. However in this particular guy’s case he, and I’ll let people read the blog post for all the full details, but he had a couple of different issues. The first one being well, I’d like to get this proposal paid off and I’m worried about whether the bank’s going to renew my mortgage in two or three years when it comes up for renewal. Whether what they’re telling me is true or not as you said it spooked him so what happened from there then? He came in to see you, what was the discussion? Ross Taylor: He came in to see me and he wanted to understand whether or not there were any mortgage financing options that could solve this. I explained to him that first there are, but almost every mortgage lender out there, even private lenders, if they’re going to help someone in that situation the proposal has to get paid off. They’re not going to allow that proposal to sit there and then sort of do a work around and lend them some additional money. Doug Hoyes: So again that’s a key point then. If you’re in a proposal, it is very difficult to if not impossible to just get a new mortgage. Doug Hoyes: And if I don’t own a house right now and I’m in the middle of a proposal and I want to buy a house pretty much forget it. There’s no bank that’s going to give you a brand new mortgage to buy a brand new house while you’re in the middle of a proposal. Ross Taylor: The only way you could do that is if you had a huge down payment, maybe you won a lottery or got an inheritance or something like that. If you could bring at least a 30% down payment to the table and pay off that proposal, then there are a couple of lenders out there that would be lenders or alternative lenders that would give you a mortgage even in those circumstances. But again in every case that proposal must be paid off before the mortgage is advanced. Doug Hoyes: And why is it important that the proposal be paid off, why do the lenders want that done before they’re advancing new money? Ross Taylor: Well, lenders are in a business of lending money but they try to do it in as risk free a fashion as possible. And if there’s an overhanging debt of such significance it just doesn’t sit well with them. They want to see the rehabilitation process has been completed. Ross Taylor: You go right back to dollar one. Doug Hoyes: You go right back to dollar one. So, if I’m the bank wanting to lend the mortgage it’s like well if you pay the mortgage off then I know it costs 30 cents but if you don’t then it could cost 100 cents, I don’t want to take that risk. So it’s, like you said it’s a risk minimization thing. So okay back to the story of Justin then, he’s in a proposal, he comes in to see you and continue on from there. Ross Taylor: We looked at this situation. Now whenever I get a client like this I have spreadsheets that I’ve built and I do an analysis to see what are the options? I can always get a new first mortgage for these clients, even of that moment as long as there’s sufficient equity. But I look at that and the cost of the client of doing so, and the benefits, and I also look at perhaps getting a private second mortgage, leaving what they have in place already for at least another year, getting a private mortgage, paying off the proposal and whatever else he wants to pay. This fellow also wanted to do some home renovations last year, which we were able to finance. So we do the assessment. Now one of the reasons we chose to do a second mortgage at that time was there was at least two years left on his mortgage. And one of the unfortunate things about bank mortgages is the prepayment penalties can be pretty high, especially if there’s a few years left to maturity. So that was that deterred us from doing a new first mortgage last year. We decided instead leave it alone, take one year off the clock and get a second mortgage. We paid off his proposal, we financed some home renovations. And incidentally we reduced his monthly outlay; the monthly payment on the new second mortgage was less as is usually the case than the proposal payment. So he really felt that he had taken on a winning solution. Doug Hoyes: And I guess mathematically the reason for that would be well, it’s a mortgage that runs for five years or whatever period of time? Ross Taylor: Well, actually the good thing about private mortgages is almost all of them are just interest payments only. So, yes the interest rate is high, there’s no two ways about that. But most of us in society today are concerned about cash flow. That’s how we look at cars, what’s the monthly payment? And that’s how we look at mortgages, rightly or wrongly. And it’s the same thing here from a cash flow point of view; Justin’s monthly nut went down as a result of the second mortgage. Doug Hoyes: Got you. So, in effect what you did here was put him into a holding pattern. It was like okay, we’re going to pay off the proposal and I don’t know if you hit this point or not but the reason for paying off the proposal is what, the bank wouldn’t have advanced the money anyways but what were the other reasons he wanted to get that proposal paid off? Ross Taylor: Well, most debtors understand that three years after the completion of a proposal, it will fall off your credit history, the fact that you were in that proposal. So that clock doesn’t start ticking until you’re discharged of you’ve completed the proposal. And I find that people that have the means to pay off the proposal, they really want to put everything in the rear view mirror, just like it never happened. Like get that blot off their personal life. Doug Hoyes: So it was a case of I want to get the clock started, there’s this three year clock. So the sooner I get it started the sooner it finishes. Now my counter argument to that, and let me fully disclose my biases here, I love it when people pay off their proposal because as a consumer proposal administrator I get paid as the payments are being made out to the creditors. So, someone comes in and says well, there’s 10,000 bucks left on my proposal and here you go my mother gave me the money, I go fantastic now I know for sure you’re not going to default on the proposal because you’ve paid it off and all the creditors are getting paid which means I get paid. So if you want to pay your proposal off early, I love it. My worry though is well, if you’re taking on a bunch of debt to do it then does that make matters worse ’cause in the proposal you’re not paying any interest. If you take on debt obviously you are paying interest. So in the case that you’ve described he was only paying interest, so he wasn’t affecting the principle amount. The interest rate was, I mean it wasn’t prime rates, it wasn’t paying 2% or anything like that. Ross Taylor: Typically it would be between 10 and 12. Doug Hoyes: So it’s a pretty high interest rate. So, I guess if Justin had come to me I would have said well, okay but you realize, I mean I’m happy for you, this is fantastic for me too, but let’s say that this mortgage is going to be out there for another year. Doug Hoyes: You’re going to pay 10 or 12% in interest on that money. So, let’s just make up numbers let’s say it was a $10,000 amount. Ross Taylor: No, let’s use the actual numbers, it was $66,000. Doug Hoyes: $66,000. So obviously his house had gone up considerably in value, the equity had increased, which is not uncommon if you’d bought a house any time between 2010 and, you know, 2017 in the Toronto area. So, you know, 10% interest on $66,000 is $6,600 in interest in a year. Ross Taylor: $550 a month. Doug Hoyes: $550 a month is what he ended up paying. So, I’d be sitting there going okay, $550 a month to make the clock tick a little faster, is that really worth it? Ross Taylor: Absolutely especially when you go to the second part of his story what we accomplished in the last month or so would not have been possible if we hadn’t taken that first leg of the journey one year ago. Doug Hoyes: Okay. So, a year ago you – he gets the second mortgage, $66,000, pays off the proposal, has some extra money that he can use for home renovations, which obviously increases the value of the home I guess too. Ross Taylor: And it certainly did. Doug Hoyes: Okay. So then a year later what happens? Ross Taylor: Well we still – our original plan had been to look at things one year out because these mortgages tend to have a one year term and then you reassess your situation. And we were going to evaluate whether or not just to sign up for another year or whether it made sense to consider breaking his first mortgage with the bank and collapsing the second mortgage into one first mortgage. ‘Cause that’s ultimately where you want to go, you don’t want to be carrying a second mortgage for longer than is necessary. Doug Hoyes: And certainly not at 10 to 12% interest either. Ross Taylor: It’s true. And I know you’re hammering that. You said why would I want that debt? Well, the consumer proposal is a debt too don’t forget. Doug Hoyes: Uh huh. Well, it’s an obligation no doubt, it requires payments, yeah. Ross Taylor: It’s a debt. It’s a debt obligation just as much as a mortgage is. So again I emphasis the cash flow aspects of this, the fellow reduced his monthly payment to the trustee, which I believe is just under $800 at the time down to under $550. It’s hard to tell him that’s a bad thing. He was taking advantage of pay for profit in his home. Basically he was starting to take less money out of his pocket every month; he was paying off that proposal, resetting the clock, doing home renovations. He was a pretty happy camper. Doug Hoyes: So then a year later you said okay do we revaluate, do we do the second mortgage, do we try to roll it in, get you a new first mortgage, maybe there’s a penalty or something we’ve got to pay to do that. What actually happened? Ross Taylor: Well what actually was he came to me and said, you know, we have a family medical situation and we need money, serious money, and we need it now. What are my options? Now we’re talking about six figure money that he needed and it really would have been gruesome as you say I’ll buy into that to give him $180,000 second mortgage or something along those lines. So, now I was looking at fast tracking converting him to a new first mortgage, not with a bank of course because it’s just been a year since he first finished his proposal so find an alternative lender. Doug Hoyes: Is it fair to say a bank really isn’t going to look at you until at least two years after the proposal’s been completed or is it even longer than that? Ross Taylor: Well, you know what? When you’re talking about banks specifically as long as they can see that proposal in your credit history, they’re not really motivated to help you. Doug Hoyes: So three years after the proposal’s done is when a traditional bank will start looking at you. Ross Taylor: At least three years, a credit union might look at you faster. Doug Hoyes: But you’re talking about other lenders, you know, non banks. Ross Taylor: Very reputable lenders such as say well, B2B Bank is a bank or Equitable Bank, they’re a bank, Home Trust Company, Exceed Mortgages, Merits and Lendwise, MCAP Eclipse, there’s a good dozen or so very fine reputable alternative lenders helping people, not just in this situation but anybody that a bank’s turned down. Doug Hoyes: So you were able then to – so, what happened, did you end up with one big mortgage at the end? Ross Taylor: Well, that was the goal but he brought me his personal credit report from Equifax and before we even started I knew we had a problem because his score was only 497. Doug Hoyes: Wait a minute, credit scores are a scam, didn’t I write that in my book here, what are you telling me? Ross Taylor: Well, I can tell you it’s not a scam. I mean 497 score meant that my job was going to be very difficult. Doug Hoyes: And you had said that traditional score is somewhere like really good would be 750, the top is 900. No one has ever had 900 in their life but – so, 497 we’re at the bottom end here then. Ross Taylor: We’re at the bottom end. That looked like the score of somebody that was still in a proposal as opposed to someone that was one year out. Doug Hoyes: So, why was it so bad? Ross Taylor: Well, it’s funny you mentioned that. The reason it was so bad is because there were a number of errors, reporting errors, inside his credit report that were really dragging down his score. Things that – because credit history, they rely on information that’s provided to them by the credit it issuers. They take it at face value and they report it. And if there’s a lot of things that are wrong in there who’s going to look out for that? Who’s going to check it if it’s not the consumer himself? Doug Hoyes: Yeah ’cause no one else cares. Ross Taylor: Right, exactly. But he cared and I cared because in order to do what we needed to do I was going to have to borrow up to 80% of the value of his home but with a score of 497 if I found a lender. Ross Taylor: Yeah. High interest and only 65% of the value so the project would fail before it started. Doug Hoyes: So what kind of errors were on his credit report? Ross Taylor: Well for starters I think in his case it wasn’t even reported that his proposal had been paid off. Doug Hoyes: And this was a year later. Doug Hoyes: And just on that point, since this obviously is my area, as soon as a proposal is completed as the trustee, the consumer proposal administrator, we do a final statement or a statement of receipts and disbursements, we issue a certificate of completion. We electronically file that with The Office Superintendent of Bankruptcy, that’s who monitors them all. And they are the ones who then report to the credit bureaus, Equifax and TransUnion. I’m lead to believe that there is some kind of data interchange that happens twice a month, I don’t know if that’s true or not. I’m sure in the old days there was some tape that got sent somewhere and someone had to load it on the main frame. But I understand now it’s done electronically, maybe it’s once a month, I’m not really sure. But the – but it would end up being – I mean if your proposal ends this month then by the end of next month, certainly the month after, it should be reflected on your credit report. So the fact that it wasn’t reported on his credit report leaves me to believe that either the credit bureau screwed up, which is very common, or the trustee hadn’t yet for whatever reasons closed the file and reported it. But that was an obvious thing that was amiss. Ross Taylor: Yes. I don’t think that was the biggest contributor to his low score. Other things were several of the credit facilities that had been included in the proposal were still showing as owing balances, pretty much the money that was owed at the time that he filed the proposal, so if he had a $10,000 credit card, it might have been showing that he still owed $9,900. So, that facility is showing very high utilization and it’s also showing that it was written off. In fact some of these things were shown as bad debt, or collection account or unable to locate the consumer, which is not true. Doug Hoyes: Which is ridiculous because they were included in the proposal, okay what do you do then? And what you just described I hear this story every day, like this is extremely common. Ross Taylor: Uh huh, I do too. Doug Hoyes: All the time this is nothing shocking at all about what you’re saying there. So, what did he do about it, what did you do about it? Ross Taylor: Well first I always tell people in these situations you can in fact take matters into your own hands, you don’t have to hire somebody and pay a penny to get them to do it. You don’t need to be talking to a mortgage broker. If you’re willing to do the homework and you can prepare a package of information and send it to the credit reporting agencies and there’s two of them, it’s Equifax and TransUnion Canada. You include your identification, two pieces, front and back, and you tell your story and then you corroborate your story with documentary evidence. Doug Hoyes: That’s the point of the proposal. Ross Taylor: The moment they file, they get relief from their creditors. So sometimes it’s very helpful to be able to send proof of payments that were made right up until the date that the proposal was filed. So they can do that and they can send it by fax or they can send it by mail to both the reporting agencies. On average it takes about a month to six weeks because the reporting agency will do an investigation. And it’s not just they’ll take everything at face value, they’ll do an investigation and they will correct whatever they think is an error. Doug Hoyes: And I assume you do that by filling out the dispute resolution form or whatever. Ross Taylor: You can but it’s not even necessary. Doug Hoyes: Just send them a letter. Ross Taylor: I’ve helped people over the years, just send them a letter. And the easier you spell it out for them and just walk them through the process. They do hundreds of these all day so the ones that are packaged nicely and well laid out, those are the ones that get their attention. Doug Hoyes: Here’s five things wrong, here’s the five proof that they’re wrong. Ross Taylor: Now as a mortgage broker we have direct access to Equifax and we’re able to expedite that process for people that we’re helping to get financing. And that was a huge win for Justin because time was of the essence and he asked if we would mind taking care of that. So we put together a package of documents and we presented the story and we faxed it into Equifax. And within two or three business days I got a phone call from Equifax confirming that every single thing that we challenged had been fixed or removed or replaced and that we ran his credit report to submit with a mortgage application and his score was no longer 497 it was 683. Doug Hoyes: Wow, from 497 to 683. Ross Taylor: In three days. Doug Hoyes: In three days. Obviously it should never have been 497, that was the whole point. By correcting these errors, it fixed it. Well, it didn’t fix it; it made it go way up obviously. Ross Taylor: Right. The proposal’s still there, it happened, no one’s denying it. It’s not like his credit report is like a bed of roses, there’s still historical facts. But there’s enough goodness in there too to bring the score back up. Doug Hoyes: Now the common conventional wisdom is you have to take steps to rebuild your credit. You have to establish new trade lines, new credit. Ross Taylor: Absolutely, very important. Doug Hoyes: Tell me about that. Ross Taylor: Well, in the mortgage world we have a rule that two plus two plus two unofficial rule is basically from the time that you complete a proposal or bankruptcy you should try to have at least two credit facilities, they can be cards, they can be loans, they can even be a car payment. And if they’re a credit card the limit on it should ideally be at least $2,000. And you should have demonstrated at least two years of a perfect repayment history. That’s what’s supposed to get you back to the world of A or A- lenders, that’s the journey. Doug Hoyes: In theory that would give you a credit score of potentially in the, you know, 600, 650 range, something like that. Ross Taylor: Well it could do but again it really depends how you’re using those cards. I mean here’s something, if you’re trying to maximize your credit score, it may not be in your best interest to wait for your statement before you send in your payment because your actual balance will be relatively – it will be high relative to the limit. So if you want to optimize your score, make sure you pay it off a few days before you expect your statement. Doug Hoyes: Got you. Yeah, I mean again in my book in one of my chapters I say well if you get paid every two weeks why don’t you just pay your bills every two weeks? Ross Taylor: Absolutely. At least two payments a month, why not? You know you owe it. Doug Hoyes: Yep. And they money’s just sitting there and then you can never be behind. So, okay so what you’ve illustrated here then is that credit history is important, certainly for a guy like Justin who ended up then with a new first mortgage. Ross Taylor: Yeah we were able to go to a 80% loan to value, get him everything that he needed. The interest rate on the mortgage was excellent. I think it was a two year term and the rate was 4.14 or 4.19%, 30 year amortization. There was not even a lender fee associated with it, often there is for these alternative mortgages. But his overall profile had strengthened so much, not just from what we did, he had good income, he had good employment. He had been rebuilding his credit with two new cards but he hadn’t had two years at it, he’d been doing that for about 10 months. Doug Hoyes: He had taken some steps. Doug Hoyes: So people listening to this, and obviously they may be listening to this podcast months into the future so you said a 4.14% whatever interest rate. If someone had had absolutely perfect credit, you know, a million bucks in the bank, never done a proposal, 50% loan to value, whatever, what would the perfect rate be? Ross Taylor: You know what? That’s a super question. I mean refinance rates are actually higher than purchase rates. So, no matter what you see in the rates sites, they’re higher. Ross Taylor: The going rate these days is around 3.39% for a five year fixed rate mortgage with a bank. Doug Hoyes: So he was paying somewhere between a half a point and a point more, not even a full point more then. Ross Taylor: Very minimal increase. Now this was a very good result, sometimes it will be a bit more than that but still the difference is much, much smaller than people think when they think about alternative lenders. Doug Hoyes: So then to wrap this all up, give us your advice then. So someone is listening to us and either they’ve got – if someone has a huge ton of debt then of course my advice is going to be well, you’ve got to clean up the debt, you’ve got to do a proposal, you’ve got to pay if off, you’ve got to do a bankruptcy, whatever. Let’s assume they’ve done that. So they’re kind of like Justin, they’ve got, you know, a proposal that perhaps is completed, obviously their credit score is not perfect at that point. What advice would you be giving to someone who wants to be borrowing again, maybe wants to buy a house in a couple of years time, that sort of thing. What are the steps you would be suggesting someone like that take to rebuild their credit? Ross Taylor: Ask them first to get a copy of their personal credit history and they can either go down to the Equifax office or the TransUnion office in Hamilton and they can get a free copy of the report. Or they can go online, create a user profile and buy one with Equifax if they want to get their score, it’s $23.95 for a one time. They also have monthly options. Generally I don’t recommend monthly plans but it can be useful for someone who’s actively monitoring and trying to improve their score at least for a period of time until they get to where they’re trying to go, they can track their progress. And they need to be looking at more than just their score. These places that will allow you to track your score and nothing but your score, aren’t really telling you, remember we discussed at the beginning the health of your credit history, what’s inside it? ‘Cause that’s what we’re going to do when we see a copy of your credit report, we’re going to look for errors, we’re going to see that everything is the best it can possibly be for your unique circumstances just by taking attention to that there’s usually low hanging fruit and a health increase to the credit score. That’s the first step. And the second step is then giving you a program or some advice as how to manage and maintain that credit history so that it will continue to increase in score each passing month. Time is always your friend when it comes to your credit history. Every month that you have best practices when it comes to managing your credit, your score is going to go up, even if it’s just by a few points. Doug Hoyes: So, clean up the errors and then time, time is a huge contributor. Ross Taylor: But not just time. Some people think if I pay off my proposal I’m good. I’ll just wait three years and I’m fine. And they don’t actually take the steps to rebuild with new credit. And lenders want to lend money to people that have demonstrated repayment capacity. Doug Hoyes: And that’s where your two plus two plus two comes in. Ross Taylor: Right, you have to take out new credit facilities. No, you don’t have to go back to the old days. And you know as well as I know Doug, many people when they’ve gone into a proposal or a bankruptcy they vow I’m never going to have a credit card again, it got me into trouble, I don’t want to do it. But they have to reset that thinking. Some credit to some extent is healthy and necessary in today’s society. Doug Hoyes: Yeah it all depends what your future plans are. If you’re 80 years old and you rent an apartment, okay then yeah, I don’t think it’s necessary. But if your goal is I want to finance a car some day, I want to buy a house, then you’re going to have to do things to improve it. Doug Hoyes: Excellent. Well, I appreciate that Ross. That’s a great place to end it. Now let me say what I’ve said on this show many times before and that’s that this show is not a commercial for any of my guests, guests can’t pay to be on the show, there are not affiliate links, I don’t get paid a kickback if a listener uses Ross’s services. However since you are here and there may be people who want to talk to you, how can they get in touch with you, how do they find you? Ross Taylor: Well, a couple of easy ways. We have a super easy phone number it’s 416-989-1000. Or they can email me at ross@askross.ca. That’s the website, that’s where you’ll find over 500 articles that I’ve published in the last several years, many of them about circumstances just like Justin’s, case studies of real life situations and how people were able to improve their circumstances. Doug Hoyes: And the primary person that you can help is someone, is who, tell me who that person is? Ross Taylor: Well I love all mortgages and it’s really nice when I get a triple A client knocking on my door and saying I’m perfect, can you get me a good mortgage? Absolutely, but the reality is I’m targeting homeowners with debt or credit problems or hard to verify income. There’s a big percentage of people out there that don’t really know where to turn. And there are solutions, there are mortgage brokers that specialize in that. It’s a more difficult niche but it’s one if you understand it can be very rewarding and very, very helpful to the people who think they’ve got nowhere to turn. Doug Hoyes: Right, so they start with you. And obviously the whole, one of the points of a mortgage broker is you’ve got many different lenders you can go to. If you go to the bank you’re only going to the bank and that’s that. So in Justin’s case, how much did he have to pay you? Ross Taylor: When we did the second mortgage I charged him a brokerage fee. Ross Taylor: Yeah we had to charge a brokerage fee because the private lenders don’t pay brokers. Ross Taylor: When we did the renewal I also charged him a brokerage fee and I did that in recognition of the overall service that we had been providing for the last year in addition to the credit repair service. Doug Hoyes: And that would be fairly typical. Like you said with a private mortgage person, they’re not paying any kind of fees. Doug Hoyes: But if it’s one of the bigger companies then there is some kind of compensation that gets paid to the mortgage broker in a lot of cases? Ross Taylor: Yes in a lot of cases, yes. Doug Hoyes: And that would be built right into the mortgage. Doug Hoyes: Okay, so I’m paying 4.14%, some of that money ends up going to the person who lined up the mortgage. Ross Taylor: Yes, although not to the same extent that it would be as if we were dealing with an A client. It’s just the process is a little bit different. So, if these alternative lenders will often charge a lender fee it’s important to note for people. Again, in some cases it can be built into the mortgage. And that lender fee might be as much as say 1% of the loan amount. And then the individual mortgage broker helping them might charge anywhere from say nothing to 1% of the loan amount also depending on the complexity of the circumstances. Doug Hoyes: So if I’m a customer I should ask questions. Ross Taylor: Absolutely. You should not be finding out about these at the last minute. These are always gone through right at the beginning because it’s such an important part of the process. You need to understand what they might be spending and whether or not it makes sense for them. Doug Hoyes: Yeah and I think that’s the key, does it make sense for them? So, we talked about Justin’s situation, based on what you said it made sense for him. He lowered the payment he was making on the proposal, he’s ended up in a much better situation than he was. Obviously the story may be different if we talk five years from now if real estate doesn’t keep going up in value and things are different. But I think that’s key, you’ve got to look at each individual’s situation and go into it with your eyes open. In his case needing some additional funds because of the medical issues and so on, it all kind of made sense. Excellent, well I think that’s fantastic, ask questions. And you should certainly be doing that if you’re coming in to see me too. Don’t just blindly take what I’m talking about. So, excellent, well, I appreciate that Ross. That’s our show for today. I’m going to put links to everything we talked about today over in the show notes at hoyes.com including a link to Ross’s website, which is askross.ca and a link to the case study he wrote about how he helped his client Justin that we’ve been talking about who improved his credit score so he could qualify for a much better mortgage. The show notes will also have a full transcript and if you want to read the book including chapter four that got this entire discussion started the book is called Straight Talk on Your Money and it’s available at better books stores across Canada and online at amazon.ca and indigo.ca and it’s also a Kindle and Kobo e-book and it’s an audio book on audible and iTunes. Thanks for listening. Ross, thanks for being here. Ross Taylor: My pleasure Doug.